When an unprecedented heatwave hit South Australia state, home to the world-renowned Barossa Valley winemaking region, viticulturists fretted about the impact on their grapes. The crops survived, but the extreme weather last year was a reminder of how climate change can hurt a resurgent Aus$2 billion (US$1.5 billion) export industry boosted by Chinese thirst for Australian premium red wine. 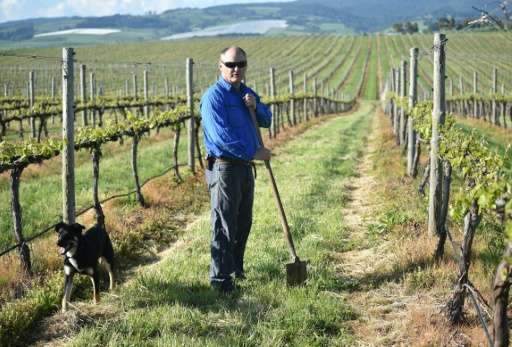 "I've been here for 20 years ... and we're seeing more severity in the weather," winemaker James Sweetapple told AFP at his vineyard in Orange, a picturesque town 250 kilometres (155 miles) northwest of Sydney. "The wet years are much, much wetter, the dry years are much drier and much hotter." 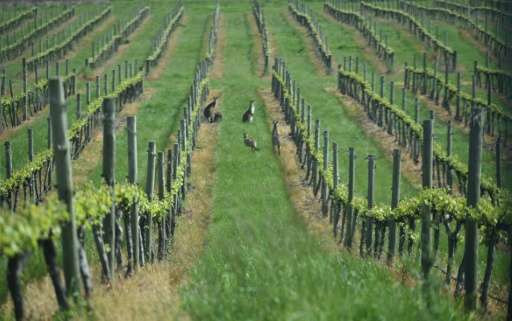 With record-breaking hot weather tipped to become the new "normal" in the world's fourth-largest wine exporter by value, the government and grape-growers are trialling ways to mitigate against the challenges, including pruning later and switching varieties. Australia is known as a land of drought and floods, and vignerons are accustomed to dealing with a variety of conditions. But climate change appears to be causing a permanent shift, warming the continent by approximately 1.0 degree Celsius (1.8 Fahrenheit) since 1910 according to government data, intensifying the risk of bushfires and droughts, while altering rainfall patterns. The rising heat is compressing harvesting seasons, causing grapes to ripen earlier—sometimes during the hotter December-February summer months rather than autumn. This changes grapes' sugar and acid levels, leading to lower-quality wines with higher alcohol content. 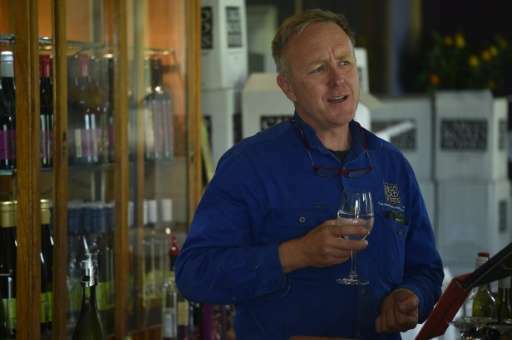 "The last six weeks of ripening are critical for flavour and colour development and sugar-acid balance, so we don't want to have too much heat at the end of the season before harvest," winemaker and former viticulture lecturer Peter Hedberg told AFP. "Most vineyards in Australia are actually in very hot climates... and unfortunately a lot of regions are ripening grapes at over 35-degree Celsius (95 Fahrenheit) into 40-degree heat which is not good for flavour." Australia's independent Climate Council warned last year that up to 70 percent of wine-growing areas in the country with Mediterranean climates—including the Barossa and Western Australia's Margaret River region—would be "less suitable for grape growing by 2050" due to global warming. While little or nothing can be done to save vines from flooding or smoke from bushfires tainting grapes, low-tech approaches to delay harvesting times and increase soil moisture are already being used. Orange's Justin Jarrett boosts carbon levels in his soils by layering mulches and compost on top to make them more moist, while Sweetapple keeps a "hairy" vineyard by allowing grass to grow freely underneath vines, providing shade in dry spells and sucking up excess moisture when wet. Pruning later is another tried-and-tested approach for delaying harvesting times, while winemakers are being encouraged to look at different varieties that thrive in warmer climes—such as from Italy and Spain—when replacing old vineyards. Wine Australia, the official grape and wine body, commissioned a project that analysed 500 alternative varieties to map out the lengths of their seasons, when their grapes ripen and how much is produced, so growers have a guide if they want to make a switch. "Most wines are made from 12 different varieties but there's thousands of them, which really means there's lots of opportunity within the genetics of grape vines to basically live in just about any environment that you attempt to grow them in," Wine Australia's research and development head Liz Waters said. With 2016 "very likely" to be the world's hottest on record, according to the United Nations, the race to stay one step ahead of the shifting climate is heating up. "Good farmers think about what's coming," said Jarrett, who has started growing prosecco, a white Italian variety he believes could suit Orange's climate in 20 years' time. In warmer regions where profit margins are already tight, some farmers may need to consider moving away from grapes to nuts such as almonds, hazelnuts and pecans that thrive in the heat, Hedberg suggested. "I think people realise they've got to change or get out," he said. "The world doesn't need more cheap wine. We need premium wines that have good flavour; they've got a good story with them that we can sell to China or all around the world."